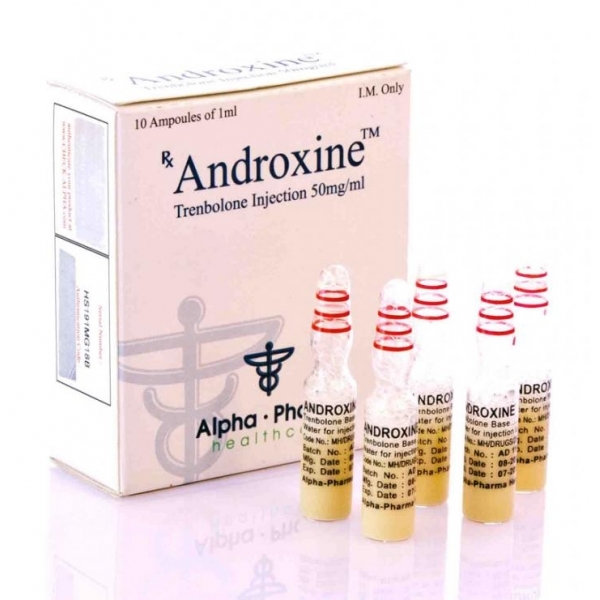 Androxine is an anabolic and androgenic steroid from the Indian pharmaceutical company Alpha Pharma. 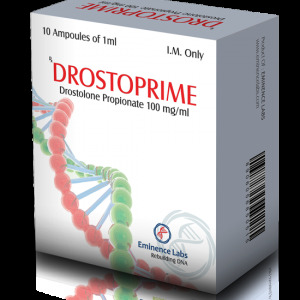 The main active ingredient is the aqueous suspension of trenbolone. The form of anhydroxin release is 10 ampoules of 50 mg / ml. The aqueous suspension, unlike the oil forms of the preparation, does not contain an ether residue, it is a non-esterified solution that is characterized by a rapid intake into the blood. This feature determines the nuances of application, dosage, etc. Initially, trenbolone was used exclusively in Veneraria – to increase appetite and muscle mass of animals. 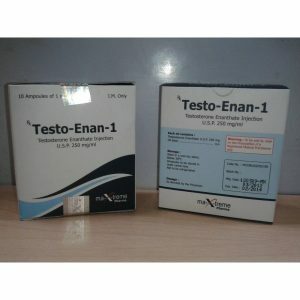 Chemically, the steroid is a 10-nor testosterone derivative, similar to nandrolone in progestogenic activity (so there may be side effects in the form of sluggish erections, decreased libido and even testicular atrophy). 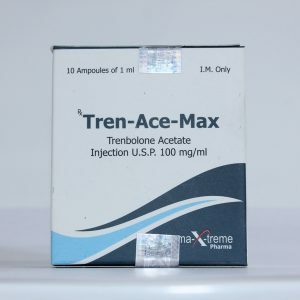 However, trenbolone has an advantage and its advantages, the main one of which is the absence of aromatization. Androxine does not show estrogenic activity, and therefore does not cause fluid accumulation and gynecomastia. 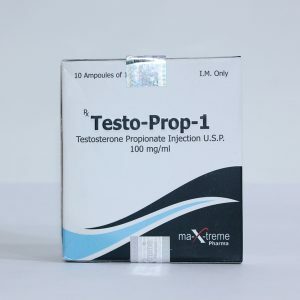 Receiving a steroid by professional athletes is significantly hampered (without the use of masking agents), as modern methods of doping control can detect traces of an aqueous suspension of trenbolone long enough. There is no precise data on this, but, of course, the detection time of the unesterified steroid is much less than that of the substance planted on the air. Take the drug is recommended in a dosage that does not exceed 50 mg per day. Duration of taking Androxine should not be more than a month. Exceeding the dosage or duration of admission will not increase the effectiveness of the drug, but the risks of side effects may increase. In order to prevent the possibility of side effects, it is recommended, as from 2 weeks of taking the drug, also apply gonadotropin. 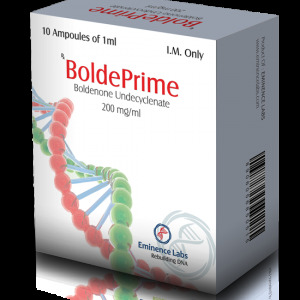 If the permissible dosage is exceeded or the recommendations for admission are not observed, such side effects as hair loss, aggressiveness, sleeping and skin problems may occur. 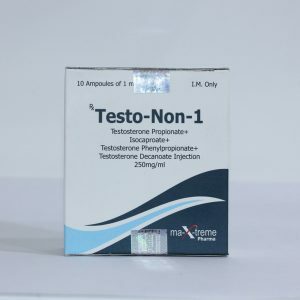 Due to the suppression of the production of own testosterone by the body during the administration of the drug, there may be a decrease in libido and testicular atrophy, Cabergoline and Gonadotropin will help to avoid this.